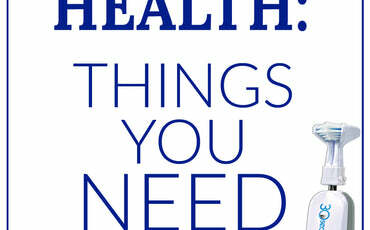 Featured Blogger of the Diabetes O.C.! Hey everyone! 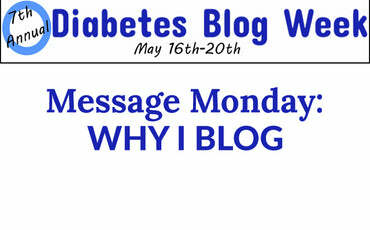 So I am very excited to tell you that this week, I’m the featured guest blogger on The Diabetes O.C. website! I’ll be posting two more entries during the week, so keep a look out! 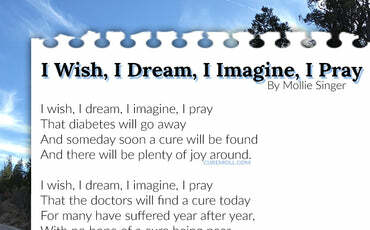 The website is a great place to find other blogs that are related to diabetes, it’s such a cool directory! Hey everyone, I wanted to start writing this blog about why almost 11 years ago, my twin sister Jackie and I, along with our mom and aunt, our mom’s twin sister, started the Diabetic Angels, let me explain. In 1998, we were faced with a challenging situation that seriously impacted our lives, one that nearly every diabetic has experienced. Ultimately, this demoralizing incident became a blessing in disguise and resulted in the formation of a special group that raises funds and provides education and support for diabetics, their families, and friends…The Diabetic Angels. At the age of 10, Jackie and I were having the time of our lives, we enjoyed school, had a great group of friends, and were becoming increasingly more involved with the Juvenile Diabetes Research Foundation, life was great…until we found out the hard way how diabetes is painful in more ways than one. The incident to which we are referring began when we had been invited to our friend’s 10th birthday party. Ecstatic, we ran home to tell our mom and for the rest of the night, going to the party was all we thought about. The next day, our friends and us excitedly talked about all the fun things we were going to do at the party. By the time we completed our morning classes, we looked forward to lunch so we could do what we did before school, talk about the party. As usual, all of our friends sat together at the same table, and shortly after we sat down, there was a lull in the conversation as all of us started eating. However, the silence didn’t last long when the birthday girl took advantage of the full mouths and made an announcement. The birthday girl looked across the table at us and matter-of-factly said, “Oh, by the way, I have to uninvite you to my birthday party Mollie…because my mom said Diabetics are a hassle…but Jackie you can still come.” We were so stunned, we couldn’t talk, but worse, I was humiliated and brought to tears, there was nowhere to hide, no where to run. Jackie did her best to console me, but no amount of comforting was going to ease the pain. Somehow, we made it through the rest of the day, we tried to wear a smile and put up a brave front, but it only lasted until we walked off the school grounds and into our mother’s car before the two of us just started sobbing. Mom looked at us and let us cry, but when we got home, asked us to tell her why we were crying. Jackie felt the same way as I did, the same pain I felt, Jackie felt, angry and powerless (we thought). However, as it turned out, mom helped us understand that we weren’t helpless, and with the clarity we now had of what happened and why it happened, we began to correct the injustice. Later that night, mom contacted the parents of this child and agreed that they had the right to invite whoever they wanted to their child’s birthday party, but to tell any diabetic child, and in particular, her child, that she was a hassle because she was a diabetic, was way out of line. Mom went on to explain why I was not a hassle, as I was a well managed diabetic who knew exactly how to take care of myself and whose twin sister also knew how to help me and what to do should there ever be an emergency (which had only happened once when I was 4). Our friend’s mother agreed that she didn’t know about diabetes, admitting that she had made a mistake and didn’t mean to hurt our feelings. A few days passed and Mom let us feel bad and try to come to terms with our emotions before she sat us down and all of us talked about what happened, why we thought it happened and what, if anything, we could do about it. At first, we didn’t think we could do anything to make it better, but the more we talked with mom, the more we realized that maybe there was a way of preventing other young people from experiencing this kind of humiliation and pain. After having talked for hours, mom explained to us that most people weren’t intentionally cruel. She told us that she believed the reason people say hurtful things such as, “Diabetics are a hassle,” is a direct result of ignorance and fear based on misinformation. All of a sudden, we understood what she had been saying, there was something we could do to stop the ignorance and the fear; that something was to find a way to help all young people who lived with a chronic disease, or who faced additional challenges. The sadness we had been feeling for days began to diminish, as joy and hope replaced our grief and anger. By the end of the weekend, we were feeling empowered and motivated to take on the challenge of educating everyone that crossed our path about the reality of diabetes. We believed that if we could teach our friends, our peers, and our classmates, they in turn would educate their parents, their friends, and their peers…and so began the concept of the Diabetics Angels. In the end, mom helped us understand that we couldn’t change what had been done to us, but that dwelling on it would only bring about more sadness and accomplish nothing. She told us we needed to take this negative situation and turn it into a positive force, and that in actuality this incident was a blessing in disguise. The truth is that the embarrassment, humiliation and sorrow we felt left a scar, but it is also true that the wound healed when we found hope in the idea of changing the world one friend at a time. Over the next few months, we mounted an attack on ignorance. We invited our classmates to join us in knowing more about diabetes than most adults (which sounded like a lot of fun at the time!). We asked them to agree to learn the basics of diabetes, what it meant to have normal, low, or high blood sugar, as well as, the symptoms of high or low blood sugar and then how to respond in case of a diabetic emergency. Now, with the help of the internet, the Diabetic Angels have a page called Diabetes 101 where diabetics can take a quick refresher course or those who just want to know, can go and learn more about diabetes. Furthermore, we asked them to agree to become diabetic advocates, which included writing their congressional representatives regarding the funding of diabetes research and technology. The “Diabetic Angels” also raised funds for medical research by asking people to sponsor them, as they joined our Walk Team, “Mollie’s Diabetic Angels,” in the Juvenile Diabetes Research Foundation’s (JDRF’s) annual “Walk To Cure Diabetes.” Finally, the “Diabetic Angels” joined us when we made public appearances, which in the end turned out to be one of our most enjoyable endeavors. What started as an initiative with 7 girls quickly grew to become one of the coolest clubs in school. Although learning about diabetes was a serious subject, we realized the importance of making our meetings fun, and with this in mind, we put the fun back in FUNdraising!! For example, we help meetings at the local water park, on a camping trip, as well as, at our house with a sleepover and a pizza party. Our objective was met, we had fun, our friends learned more about diabetes than we ever could have imagined, and in turn, they shared their knowledge with everyone who crossed their paths, one “Angel” even used the knowledge she had gained to save her grandfather’s life…that alone made the formation of the “Diabetic Angels” worthwhile. Since the first meeting in 1998, our lives have changed dramatically, as we watched the “Diabetic Angels” spread to 6 continents and positively impact diabetics, their families, and their friends. Today, we are proud to say that our mission to cure diabetes and teach others about the importance of diabetes awareness, advocacy, education and fundraising is succeeding! And as our story continues, Jackie and I would like to leave you with the meaningful thoughts of two of our heroes who have inspired us and hopefully will also inspire you. Oh, and by the way, since there are two of us writing the story of the “Diabetic Angels” and we couldn’t agree on just one quote, Jackie selected Mother Theresa, who once said, “There is a tremendous strength that is growing in the world through the sharing together, praying together, suffering together, and working together” which we still do with our friends, both old and new…and I, Mollie, have chosen Albert Schweitzer, whose words taught us that if we, “Do something wonderful, people may imitate it!” We have spent many years imitating the good deeds of people we love and respect and it is our dream not only to cure diabetes, but also that the “Diabetic Angels” become a rippling effect of kindness and giving that spreads around the world. Now that you have an understanding of why we started the Diabetic Angels, we would appreciate your help in our fight to stop discrimination and advocate for the cure!! If this is something you’d like to do, please become a member of the Diabetic Angels at http://www.diabeticangels.comwhere together, we will create an unstoppable global movement to cure diabetes!